Even though more than half of Tamuz passes before the fast on the 17th, from the moment that we announce the month on the preceding Shabbat we begin to think about the upcoming fast days and the days of mourning between the 17th of Tamuz and the 9th of Av. On the one hand, we experience the sadness that comes with the memory of loss, and on the other, we question the relevance of these days as we live with the reality of a vibrant, if imperfect, Jewish state. The Mishnah indicates an inseparable bond between these two days, one considered minor and one particularly significant, listing their events that we commemorate in one breath. The 17th of Tamuz, according to the Mishnah (Ta’anit 4:6), is a day that commemorates fractures. “The tablets were broken, the Tamid sacrifice wasn’t fulfilled, the walls of the city were breached, and Apostomos burnt the Torah and put up an idol in the Temple.” The first fracture occurred mere weeks after the Jewish people received the Torah--according to many, the very moment that we became a people. As Moses descends Mt. Sinai after 40 long days and nights away from his people, he sees the Israelites worshipping the Golden Calf, and breaks the covenantal tablets that he was bringing to them. The second fracture takes place in the Temple, many years later, when the holy routine of the Temple is broken due to the siege on Jerusalem, and the lack of sacrificial animals leads to the priests’ inability to make the twice-daily Tamid sacrifice. The remaining three fractures described by the Mishnah take place during the second Temple period, with the Roman breach of the city walls, leading to the Temple’s destruction, as the most significant. Alongside the Mishnah refers to two devastating acts by a mysterious Apostomos, who both burnt a Torah scroll and put up an idol in the Temple. While the act of breach was a very real fracture, the other two broke the sense of holiness attached to our Torah and our holiest place. The 9th of Av also commemorates 5 traumatic events that occurred to our people, including the destruction of both Temples and 3 events that inhibited our ability to live and prosper in Israel: the decree following the negative report of the spies, and the destruction of the cities of Jerusalem and Beitar. What do all of these events that happened on the 17th of Tamuz have in common? When they took place, they were experienced as great disasters that befell the Jewish people, but each fracture was repaired. Moses brought a second version of the Tablets, which accompanied the people into Israel and into numerous battles; the Tamid sacrifice was offered again, and today is marked through our daily prayers; Apostomos may have left a bitter memory, but even the rabbis of the Talmud couldn’t say exactly who he was; and of course, the walls of Jerusalem have been rebuilt. We still carry the scars of the 9th of Av, but they too have eased with time. We indeed pray for the rebuilding of the Temple, but we have the privilege of a sovereign Jewish state with Jerusalem as its thriving capital. My beloved teacher Rabbi Albert Lewis, of blessed memory, taught that the great consolation of these days of mourning is announced to us already on the morning of the 9th of Av during the Torah reading. The reading (Deuteronomy 4:25) begins with the words “When you have children and grandchildren.” According to Rabbi Lewis, these words teach us the important lesson that there will be a future for the Jewish people. There may be tragedies and hard times, but we will continue to have children, and we will learn to cope with the fractures together, with time overcoming them. I see this prophecy achieved throughout the summer months of Tamuz and Av at Azarat Israel, the egalitarian section of the Kotel. There we see thousands of Jews who did not give up hope despite the fractures, there we see young men and women that were born, that continue the traditions of those who came before them, that celebrate their Judaism, their way, in Jerusalem. The challenges do not disappear and not ever wound heals immediately, but there is continuity and there is a future. We can and should mourn in the 17th of Tamuz and the 9th of Av, but we can take comfort in knowing that not only the future but also the present are bright. 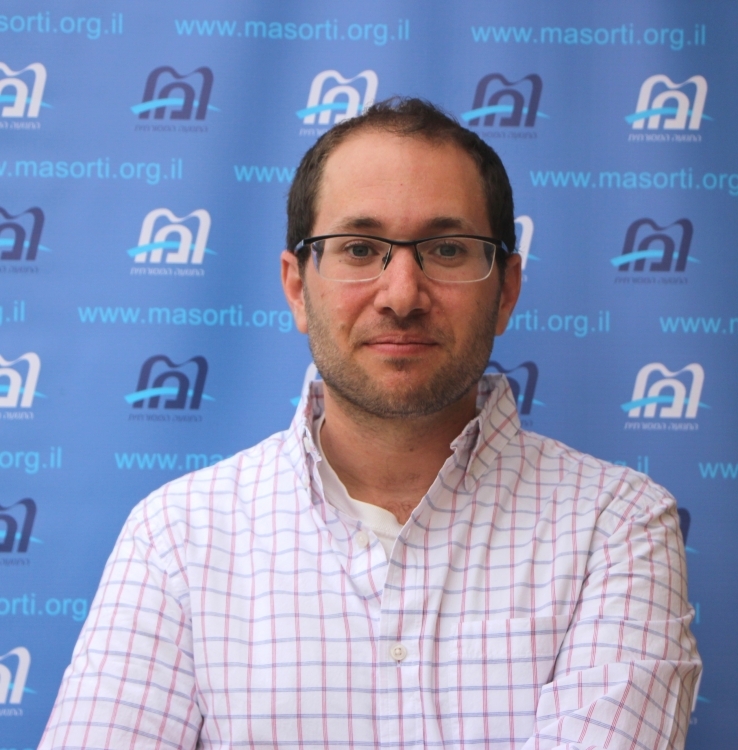 Rabbi Arie Hasit is the spiritual leader of the Masorti congregation in Mazakeret Batya and is the program developer for the Rav Siach program.